Oil analysis reports contain vital information about the condition of a lubricant and of the equipment in which the lubricant is being used. By nature, these reports are complex. They are dense with data and details that support the lab’s overall findings and recommendations. Although the reports may be daunting, you should pay prompt attention to them: They may alert you to situations that require monitoring or immediate action to avoid breakdowns or other catastrophic consequences. The report features a recap of the details about the oil and component that your company provided on the submission form. Double-check to ensure that the submission information is accurate. If the information on the submission form was incorrect or incomplete, the information in the report may be invalid: Data deemed “normal” in the report may actually be abnormal (and vice versa), and recommended actions may be inappropriate. 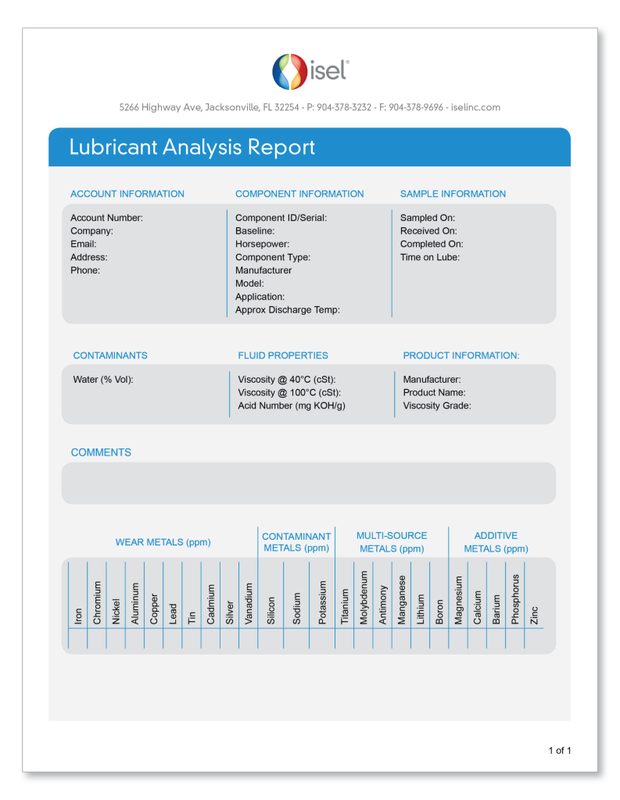 The report’s summary section provides an overview of the condition of the lubricant and machine. It also summarizes the overall severity of issues (if any) discovered during the analysis. These summaries are a good starting point for reviewing your report, but they don’t tell the full story. For instance, if the overall severity rating for issues is in the minor/normal range, there still could be issues that, if you address them now, won’t progress into the significant problems that they might otherwise become if neglected. Taking early, proactive action on relatively minor issues may save you significant downtime and costs in the long run. Elemental content — Find out which specific wear particles, contaminants and additives were found in your oil sample. The details in this section may help point out components or parts that are experiencing excessive wear (indicated by the level of wear metals found in the fluid). High levels of debris contaminants also may indicate issues such as a leak or inadequate filtration. By knowing the chemical makeup of your lubricant, the lab generally will know which additive elements should (and should not) be present, and to what concentration. Irregularities may indicate additive depletion or the use of an incorrect lubricant. Viscosity — Maintaining proper oil viscosity, or resistance to flow, is critical for successful lubrication. Too high a viscosity may prevent the oil from reaching critical component points when needed. If the viscosity is too low, the lubricant can’t form an adequate film layer to keep opposing surfaces apart. Either situation could lead to significant damage and even component failure, so it is vital to monitor the viscosity data in oil-analysis reports. If a shift in viscosity occurs, you may need to replace the fluid. Also seek out the root cause (e.g., contamination, improper lubricant mixing, a change in operating conditions, etc.) to help reduce the risk of ongoing viscosity issues. Water — A common issue, water contamination decreases the protective qualities of the oil and may prevent the fluid’s additives from functioning properly. If the water content is too high, determine the source (e.g., improper lubricant storage/handling, faulty seals, condensation, humidity, etc.) and correct it. Total acid number — A significant increase in a lubricant’s total acid number, or TAN, indicates a rise in oxidative degradation of the lubricant. Monitoring the TAN closely may help avoid using a lubricant beyond its service life. What Is A “Normal” Result? The specific application and operating conditions — For example, you might expect above-average water content in machines operated in humid regions. But if the same machines are used in arid places, above-average water levels most likely would indicate a problem. Where the sample is collected within the system — A contamination level that would be considered normal on samples taken before a filtration point might be considered excessive, and potentially problematic, if taken just after a filter. How long the oil has been in use — If the report’s data resembles that of old oil but the lubricant actually has just been place in service, something is almost certainly wrong with either the oil or the system. 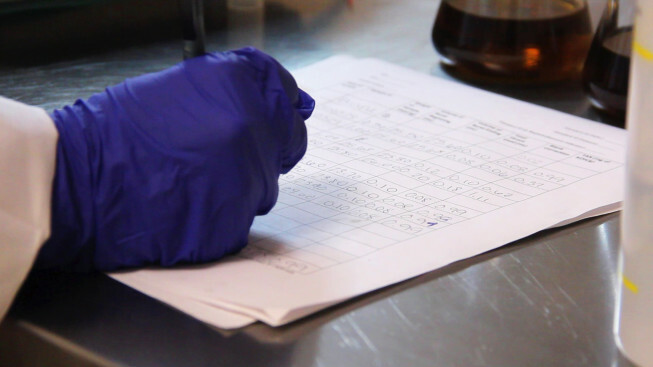 Working closely with the lab technicians in evaluating your sample data is the best way to determine appropriate action steps for your specific situation. Also, rather than comparing your data to statistical averages that might not be relevant to your system, consider monitoring trends in your own data accumulated through regular sampling and analysis. Trending provides relevant benchmarks and, consequently, more accurate diagnoses, more effective lubrication, and better equipment maintenance and protection. And that translates into longer-lasting, more efficient equipment with reduced downtime and repair costs. Contact the lab if you need any clarification of the report. If issues need attention (such as changing the lubricant, repairing a component, or modifying the operating procedures), get them done. If you ignore the problems, no matter how minor, they will not go away. Many may get worse. Oil analysis brings them to your attention, so that doesn’t have to happen. Act promptly on the information to take care of your equipment and reduce the risk of costly problems down the road. Isel offers oil analysis to all users of lubricants manufactured by Isel. This service is designed to help you get the most out of your Isel lubricants, protect and prolong the life of equipment, enhance productivity, and save money. To learn more about the program or take advantage of it, please contact us.